The Turkish Statistical Office announced on 15/11/2018, “The unemployment rate rose to 13.2% between July and September this year,” while unofficial records say it exceeds 18%. The unemployment rate in agriculture has increased to 20%. The percentage of unemployed among university graduates is 12.2%. These percentages include the auditors of the Labour Office, but statistics indicate that there are more than 2.5 million unemployed persons who are not auditors and who are included in this official census. Moody’s credit rating agency said on 9/11/2018, “a world of pain awaits Turkey, the GDP will shrink by 2% next year, and high inflation, sharp rise in borrowing and a reduction in bank lending are likely to reduce household purchasing power and private consumption and investment”. 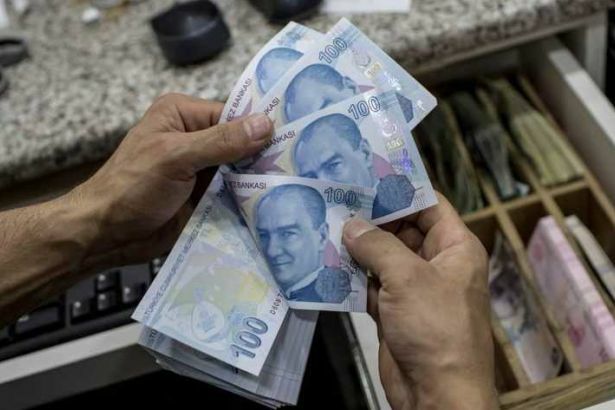 The International Monetary Fund (IMF) said that the growth of the Turkish economy could fall to 0.4 percent in 2019 from 3.5 percent this year… the weak lira and rising borrowing costs would be reflected on investment and consumption”. The lira fell on 10/8/2018, losing 14% of its value after falling 21% since the beginning of the year, with a 35% decline. On 13/9/2018, the Turkish Central Bank raised the interest rate from 17.75% to 24%. It repurchased the “repo” for a week. The aim of raising the interest rate is to limit the devaluation of the lira, so that investors approach the banks to deposit their money to increase in people’s money in falsehood (batil), thus achieving prohibited profit of 24%. Then the money flows to the banks and stops the ongoing bleeding of the lira, but this is temporary and not permanent, and the lira declines again due to the vulnerability of the Turkish economy. But when that happens, the unemployment rate will rise, and this is what we expected, because those who are going to borrow from banks for their projects due to the high interest rate will decrease, so the entrepreneurs will not start new businesses or they will freeze their projects. Therefore, the labour market will witness a decline in employment. The process of buying and selling will decrease because of the lack of cash when people do not get a job, which affects the owners of shops who are forced to reduce the number of workers to reduce cost and expenses; they no longer need workers because people do not want to buy. The real estate sector has been paralyzed by more than two halves. Construction and the purchase of houses have almost stopped, and it was announced that 70% of the total private construction work has been halted. Many construction projects have been frozen during this period, and developers have been forced to sell apartments for less than their cost, with the increase in the number of houses waiting to sell to up to 2 million. This sector has been a big part of Turkey’s economy, providing millions of jobs. The real estate bubble in Turkey resembled the real estate bubble in America that triggered the financial crisis in 2008. We have been warning people for years and telling them to be aware. What took place in Turkey is like a bubble that burst. After the sector was active in the past years due to the low interest rate on loans, the state encouraged this sector to show growth in the country, which is measured by the movement of selling and buying and the labor market, i.e. the employment of workers and low unemployment. This is what has made Erdogan popular and Turkey’s experience successful! Many people were unconsciously cheated by this and without realizing. The other objective of raising the interest rate is to stop the inflation rate of 17%, and Turkey’s goal was to reduce it to 5% to meet the European standards for candidacy to enter the European Union, but there was a failure in this regard. The Central Bank of Turkey admitted on 31/10/2018 the continuation of the inflation crisis: the head of the bank Murat Cetinkaya said during his announcement of the fourth inflation report this year: “the inflation is expected to reach by the end of the year to 23.4%,” reaching the highest levels that exceeded greatly that at the time of the government of Ecevit, which collapsed due to the financial crisis in 2002. Without the US support for Erdogan, he would have fallen some time ago. The economic problem in Turkey is very deep; the indebtedness in the inflation is permanent: the Turkish Treasury announced on 29/6/2018 that the total external debt amounted to 466.67 billion dollars, and JPMorgan, the American, estimated Turkey’s urgent payments until the month of July 2019 at 179 billion. The trade deficit is increasing continuously at $ 85 billion. And the budget deficit is in the rise, and it does not stop; the Ministry of Finance announced on 15/11/2018 the increase in the budget deficit of 5.4 billion pounds, or about one billion dollars. The US has lifted sanctions on the Turkish economy to support Erdogan, after he handed over the American pastor that he refused to hand him over, saying: “I will not hand him over as long as I’m alive.” But he succumbed to the orders of his master Trump. Erdogan’s movements resemble those who inflate in boasting and threatening and say bigger words than their ability and then they deflate when they see the danger, as what they call the “qabdai” (leading figure with authority) do! Erdoğan grew up in a region and environment that is well known for this. This environment affected his behaviour, which appears in every issue, just as he said we will not allow a second Hama (to occur). All his words evaporated, but rather he allowed the enemies of Islam and Muslims, Russia and the Syrian regime, to control Aleppo, Ghouta and other areas. Turkey, the guarantor state of de-escalation, turned a blind eye to Russia’s violations of the agreement with the regime. They did not abide by it, while those who fell under the influence of Erdogan committed themselves to it, and committed betrayals, and the scenario is repeated in Idlib, according to the ominous Sochi agreement between Erdogan and his dear friend Putin, as described by Erdogan himself. Turkey’s problem, like that of other countries, stems from its application of the capitalist system, which causes these problems and causes its subordination to America and others. If the Islamic system is implemented, the currency will be based on gold and silver. It will not fluctuate. The entrepreneurs will not fear for their money, the labour market will be active, unemployment will end, prices will stabilize and there will be no inflation, because interest is forbidden. It will not have to buy dollars to pay foreign debts, because its currency is same as the dollar; it can force it to be gold or silver, or otherwise threaten not to deal with it. Therefore, it is a duty to demolish the unjust capitalist system and to establishment the just system of Islam, represented by the noble Khilafah Rashida (Caliphate) on the method of Prophethood.